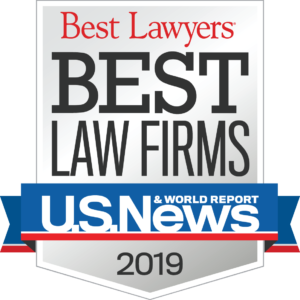 Beck Reed Riden LLP has again received national recognition in U.S News & World Report’s “Best Law Firms” publication for 2019. For the first time, Beck Reed Riden LLP received a national ranking in addition to several regional rankings. Specifically, U.S. News & World Report designated Beck Reed Riden LLP as a Tier 3 firm nationally in the category of Litigation – Labor & Employment. The 2019 rankings are based on peer reviews and client input. To be eligible for a ranking, a firm must have a lawyer listed in The Best Lawyers in America. Russell Beck, Stephen Reed, and Stephen Riden were recently selected by their peers for inclusion in The Best Lawyers in America® 2019. Ranked firms, presented in tiers, are listed on a national and/or metropolitan scale. 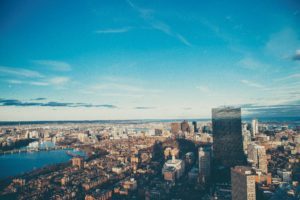 Receiving a tier designation reflects the high level of respect a firm has earned among other leading lawyers and clients in the same communities and the same practice areas for their abilities, their professionalism and their integrity. The 2018 “Best Law Firms” rankings can be seen in their entirety by visiting bestlawfirms.usnews.com.